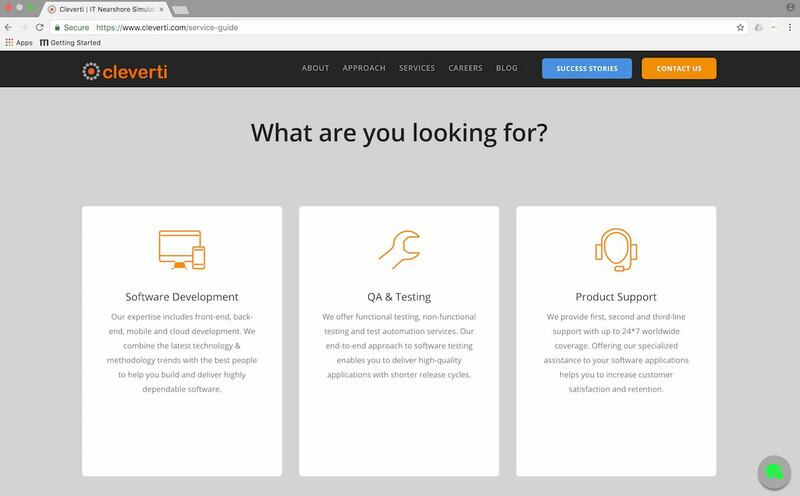 Cleverti proudly announces the launch of our new website designed to provide you with a more rewarding user experience when looking for nearshore solutions to help you build and deliver high-quality, affordable, software applications with faster time-to-market. 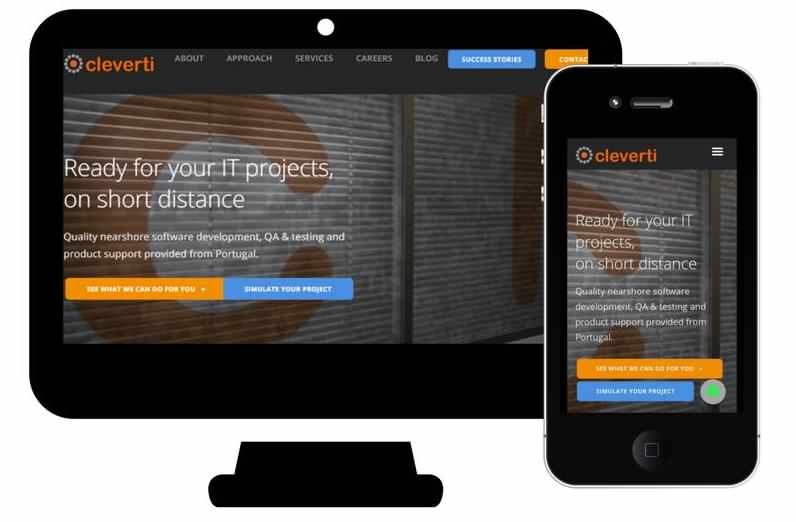 Cleverti’s website has been re-designed to globally enhance our on-line interaction with our users. We have now a more dynamic, intuitive and responsive design with streamlined navigation that allows you to easily access the most relevant information for you from any browser or device. We have added new functionalities and resources that help you swiftly understand who we are, how we approach your projects and how our services may become a valuable asset in the development, testing and support of your software solutions. One of our most exciting new features is a simulator where you can fast and comfortably simulate your project, based on what you are looking for, when you plan to start, what kind of engagement you have in mind and which type of resources you need to involve. Our new content is plenty, much more diverse and downloadable in many cases. We have introduced new success stories where you can realize how we have grasped challenges similar to yours and solved them in the best way. We have also added video content to give you a visual insight on what we do on a daily basis. We have greatly improved your points of contact with Cleverti while browsing the website. For instance, if you have any “instant” questions for our crew, we can simply place them through our upgraded live chat. We want our website to be lively and useful to you, so we will continue to update our content and introduce additional resources regularly. You can effortlessly keep up with all the news by subscribing to our updates. You are also welcome to give us your feedback at any time. Pay a visit to our new website here.